Home › blog › Software Asset Management – What’s missing? Seemingly a life-time ago, I was sailing the high seas on HMS Nottingham – a Type 42 Destroyer. As a member of the white mafia (aka the Supply & Secretariat Branch) it was my job to grease the wheels in respect of all matters administrative. It just so happened that the location of the Ship’s Office was adjacent to the Hangar, where the Lynx Mk VIII was housed when it wasn’t flying. I held lofty ambitions to be a pilot, and so was keen to understand the operations of what kept the helicopter air-worthy. One of the quirkier observations that came of my time at sea, was how the tools used to repair and maintain the helicopter were stored. Every tool had a storage location (and a painted silhouette in the tool box) that had to be secure in the event of a ship pitching and rolling on the sea, however, if a tool went missing the helicopter was automatically grounded – why? Because if that tool was bouncing around the helicopter chassis or an enclosed engine space during flight time, it might become an object that could very quickly interfere with the propulsion of the helicopter during mid-flight, resulting in a ditching or even a crash. The reason for me reminiscing like this is because it made me think of my current line of work. The SAM industry has been led to believe that a red or black figure at the bottom of a compliance report is the pinnacle of the discipline – but to whose benefit? The software vendors have guided your way of operations to an annual true-up or a re-negotiation at the point of a contract renewal; when the time to take proactive action about your bill has already sailed. The post-mortem that ensues around that red or black figure invariably gets swatted away with trite phrases of “must do better”, or “we won’t get caught out like that again…” but does anything really happen? Does root-cause analysis take place? Is there a spanner missing that could make you crash again in the future? I remember speaking with the global head of sales of a certain SAM suite vendor, and he asked “when would you use a process maturity assessment?” Retrospectively, I wish I had replied “whenever the client thinks it’s necessary” – because if you are placing blind faith in the findings from your SAM suite, then once again, you are playing into the hands of all the software vendors – and that’s not SAM. Understanding the data flows that comprise your ELP will result in a greater understanding of what you change within your IT estate if the findings of the ELP are not to your liking. In our previous blog, David Foxen extolled the virtues adopting a Plan-Do-Check-Act approach to continual improvement, and so assuming that everything is in place after the findings of a bad ELP is once more, playing into the hands of the software vendors. 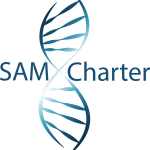 As ever, SAM Charter is well placed to guide you on finding that missing spanner! Our maturity assessment (free/light copy) and process kit can offer great insight as to where your yellow silhouettes lie – so that you don’t get stuck in a while-do loop hoping that the standard churn of IT operations will somehow magically make your ELPs more favourable.